Forming a new government in Northern Ireland and setting the terms for Brexit negotiations take precedence over the Fine Gael leadership, Taoiseach Enda Kenny has said. Speaking in New York, Mr Kenny rejected several questions on his future plans, saying: “I’m not going to answer that for you. I’ll deal with my own parliamentary party. 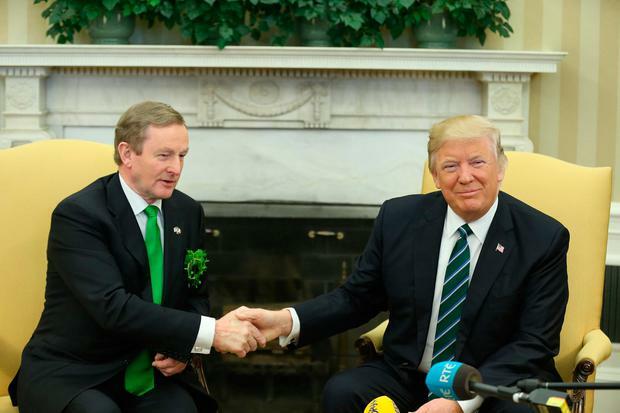 It was expected that he would do this shortly after returning from his St Patrick's Day tour of the US. But he said: “I have to deal with a number of priorities here. The first priority is to form an Executive in Northern Ireland. We have no devolved authority in Northern Ireland not,” Mr Kenny said. "I think these are priorities that take precedence over anything else," he added.